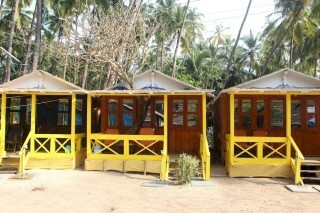 Situated on Palolem Beach, this is an offering of a private room in a rustic hut which can accommodate up to three people. 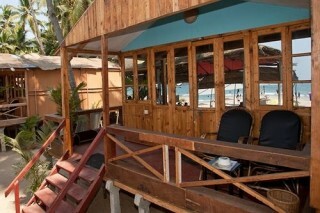 The property boasts ample seating in its sea-facing restaurant, and the room on offer is ideal for a couple. Breakfast is provided here. 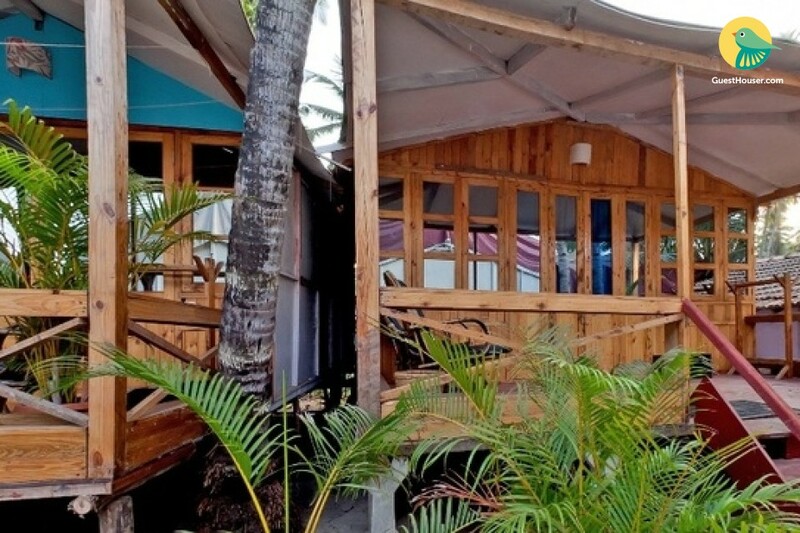 Your Space Standing on a bed of white sand and flanked by coco palms, this property boasts a restaurant replete with cane armchairs to ensure all your meals are enjoyable. A set of armchairs and bean bags with accompanying tables occupy the common seating space on the deck and on the beach, where you can unwind and admire the stunning panorama of the ocean! 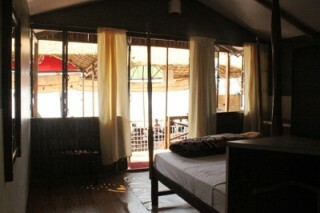 The room on offer is furnished with a four-poster bed, a wall-mounted mirror for convenience, and a compact storage unit. The en suite washroom is tiled and well appointed with western sanitary ware. Guests are requested to provide valid ID proof at the time of check-in. Pick up and drop off service available at an additional charge. Laundry services are available.